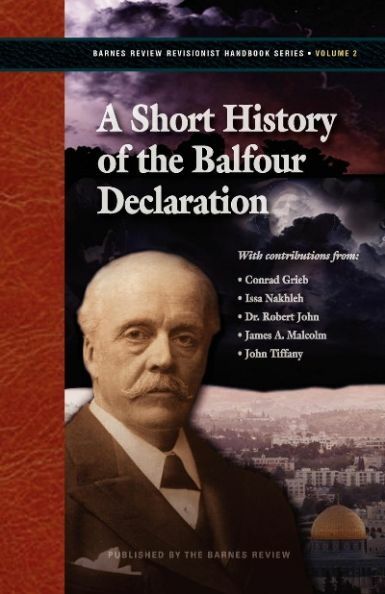 Tiffany John A Short History of the Balfour Declaration. Few Americans—few people anywhere—have heard of the Balfour Declaration, the history of which is known primarily to students of global affairs. What general knowledge there is surrounding its origins is generally restricted to dry accounts in diplomatic histories. But here is a case where truth is stranger than fiction. The issuance of the Balfour Declaration set the stage for American entry into World War I and thereby laid the groundwork for World War II and the many consequential global convulsions that followed. And, ultimately, of course, it's the foundation of the tension in the Middle East today that points toward further war and destruction. Here is the secret history of the Balfour Declaration, laid out in no uncertain terms and devoid of euphemism and political correctness. Those who have any serious desire to understand the sources of world conflict need this precise and candid analysis—the facts—about the behind-the-scenes machinations that brought the Balfour Declaration into being—and why.